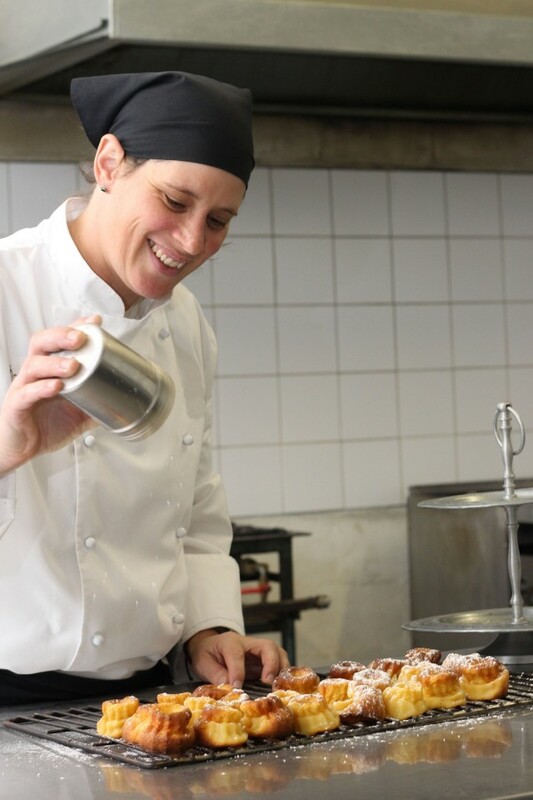 If you asked Mariza de Jager, newly appointed Chef at d'Olyfboom Family Estate in Paarl, about the most important element in cooking, she would say it's balance.This comes from her year of working in Taiwan where she learnt amongst other things that the balance between sweet, sour, salt and bitter is what makes a dish OK or spectacular! "I learnt to cook from my Grandmother and although I prefer savoury dishes to sweet, my all-time favourite is to experiment until that 'Eureka' moment when the plan comes together and you can serve a unique and yummy meal to an appreciative diner," Mariza says. "I also really like preserving fresh produce, making chutneys and creating dressings as something as simple as that can make or break a salad for example!" Asked about her favourite kitchen implement, she confesses that it's a simple pallet knife which can be used for anything from tasting out of a pot to flipping or lifting. "I carry it around with me and it's my go-to appliance on a daily basis." Her favourite ingredient is fresh herbs and she's already looking forward to improving the kitchen herb garden at her new restaurant as soon as Spring appears. When pushed to choose a preferred style of cooking she confesses that curries are her thing! "I love spices and playing around with the various types of curries – all of them have a special place in my heart.These are typically hearty and approachable types of meals and I love the whole idea of sharing, family-style meals which are packed with flavour," she says. Mariza will be kept busy as she settles into her new position when The Well opens for breakfast and lunch on week days from mid-July.The selection of take-away 'Family Meals' on offer on a daily basis is also being increased.This historic Estate hosts a variety of events in its conferencing facilities catering for a wide variety of clients, all of whom have differing palates, and Mariza and her team are responsible for keeping up the good work there too.